Can you imagine words without vowels? Even we can’t. But the vowels seem to have disappeared from the words in this worksheet. 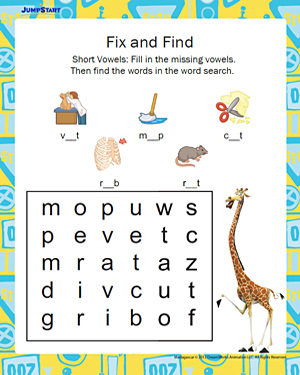 Get your 1st graders to fill in the missing vowels in each of the words to complete them. Then, help them find those words in the word search puzzle.